Although Kenya is the strongest and most advanced economy in East and Central Africa, it ranks comparably low in the Human Development Index (147 out of 187). In 2012, 43% of Kenyans lived below the poverty line. Economic productivity is still closely tied to the agricultural sector, which employs 75% of Kenya’s workforce and contributes 24% of the country’s GDP. Agricultural products such as tea, coffee, flowers and fish account for 65% of the country’s export revenue. The horticultural industry is growing by 20% annually. Other sectors that are performing strongly include tourism, production, transportation and communication. Kenya is also the regional hub for financial services. In 2014, Kenya recorded a sharp increase in foreign direct investment, which climbed from USD 372m in 2013 to USD 944m. 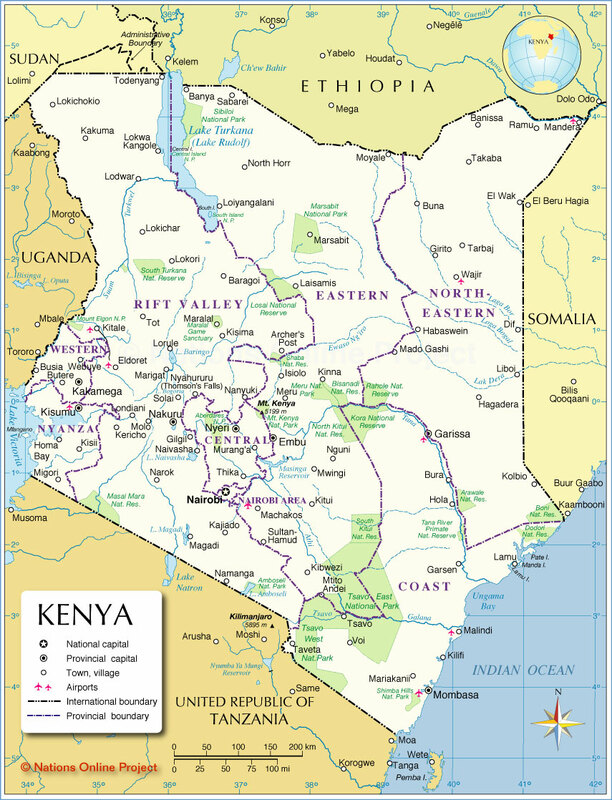 Kenya is a presidential representative democratic republic consisting of eight administrative regions. Kenya’s military entered Somalia in October 2011 to curb the threat of the Islamist militant Al-Shabab movement. Since 2013 Al-Shabab has launched a series of attacks in Kenya that had a significant impact on the tourism sector, prompting the downgrade of positive economic forecasts for the country. The national currency is the Kenyan Shilling (exchange rates at 31 Aug. 2015: USD 1 = KES 103.83, EUR 1 = 116.49).